Head of Service queries permanent secretaries over Maina’s reinstatement – Royal Times of Nigeria. 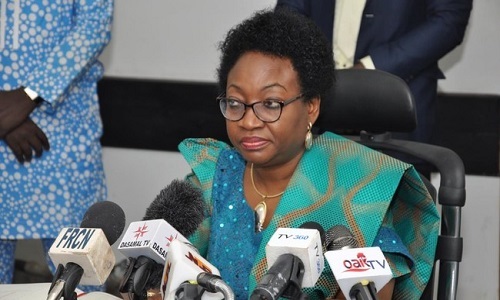 The Head of the Civil Service of the Federation, Winifred Oyo-Ita has queried two permanent secretaries over the controversial reinstatement and promotion of wanted formed chairman of the Presidential Task Force on Pension Reforms, Abdulrasheed Maina. Oyo-Ita had on Monday submitted a letter to the Chief of Staff, Abba Kyari explaining her role in Maina’s reinstatement, stating that she was unaware. She was said to have in turn asked the permanent secretaries to explain their roles. The affected Permanent Secretaries are from the Ministry of Interior and the Federal Civil Service Commission.